It’s the same thing we hear time and time again. 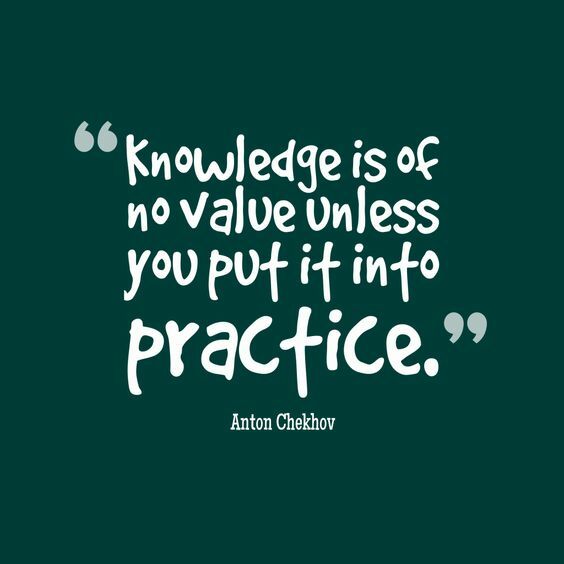 But, growing up I was often told ‘Practice makes progress, not perfect’ and to this day I truly believe that. When you strive for perfection it can prevent you from doing what really matters. 1. You know you have to pick up the phone to make a ‘cold call’ but first you decide to research the company. Doing some initial legwork is great BUT…if you’re still researching 1 hour later and coming up with 101 reasons why you can’t phone them right now then NOTHING is happening. From “I just want to ensure I know enough about them before I call’ to “I need to check that the company is suitable,” we all know you are putting off making the call with perfection as your excuse. You are paralysed and achieving zero. 2. Then there’s the advisor who is working on supporting unemployed individuals back into the workplace but feels a customer isn’t ‘job ready’ yet, so holds back from promoting them to potential employers. Yes, putting someone forward for a job when they’re not prepared could do more damage than good BUT making sure everything is 100% right before you do so could see them missing out on fantastic opportunities. At this stage, there’s still so much that can be done that still involves picking up the telephone and talking to a prospective employer. For example, having a conversation with an organisation first and positioning the individual correctly can make a huge difference, so can arranging a short interview or sourcing relevant training. Don’t put the handbrake on someone’s future because the stars haven’t aligned in exactly the right position. It may never happen and you’ll get nowhere. This opportunity might not be right for your current customer but it could be for someone else. 3. Finally, what about the person who has only been in the job for five weeks and is scared to talk to a customer because they don’t have enough product knowledge? Waiting until they feel they know ‘enough’ could be weeks (even months!) down the line. Rather than wait, giving them small tasks while supporting them in developing their knowledge and confidence is a huge step in the right direction. An induction period with no support does not make an effective employee – you won’t get the best out of them. It’s important to remember that NO ONE is perfect. We are all learning and to continue to do that we need to push ourselves from the comfort zones we love so much and do the thing that scares us most. Sure, it may not always pan out the way we expect…but those little mistakes are huge learning curves that can produce a wealth of rewards in the future. To sit and wait for the perfect opportunity means we stop, and we stagnate. So, progress is progress. One step at a time. Do your customers like, know and trust YOU? 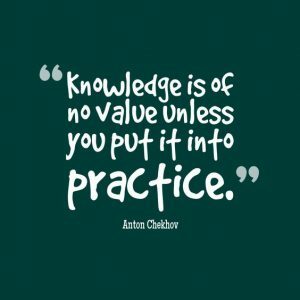 Like, know and trust – how often do you hear that phrase? I hear it alot. 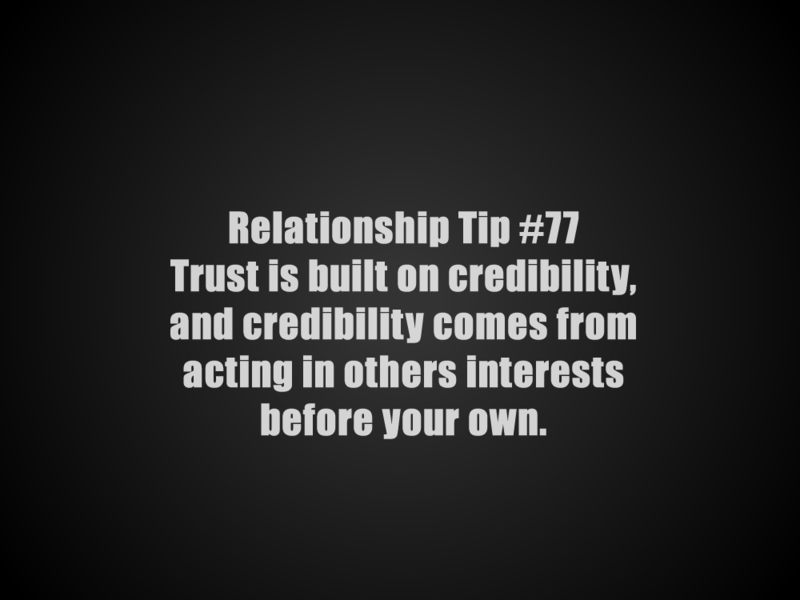 This like, know and trust, shows up in so many different ways. When you relate this to customers they either like you or they don’t and of course they may know you – but do they trust you? I’d agree trust takes time to gain and normally shows itself after you’ve consistently met their expectations and continued to be honest, sprinkled with oodles of integrity. AND got to know them. Most customers do follow those they like and trust, that’s where loyalty is born. I’ve seen customers stop doing business with a company because their ‘trusted’ contact has gone else where – normally to a competitor. I’ve gained 3 large clients in 24 months, all referred to me by ONE contact who I delivered some training for and still do. I doubt I would have secured this work without knowing my contact. Both directors in the other companies play golf with him. They have done for years. So although they might not have initially liked, known or trusted me, they 100% trusted the judgement of my contact. All this of course was based on ‘relationships formed over time.’ Which is why treating customers and prospects as single transactions instead of aiming to form long term relationships is a BIG mistake. Don’t Hang Up! 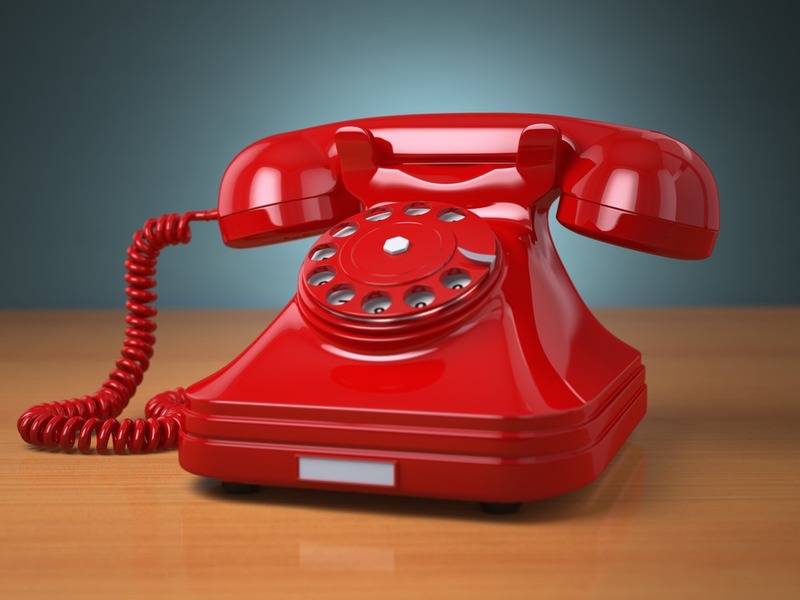 Why the telephone should still be a key player in your business. Today’s world revolves around effective communication. Despite the digital age we inhabit, speaking on the telephone to customers, stakeholders, and clients remains one of the most effective ways of adding value to, growing, and protecting your business. Here are my top three reasons why the telephone is still relevant, and how you can make sure you’re getting the most out of yours! When you’ve got someone on the end of the telephone looking to buy, it’s the perfect opportunity for your team to upsell. Like all of us, your customers have an overflowing To Do List, so if you can give them what they need in one fell swoop, they’ll probably bite your hand off. Problem is, if you don’t tell them about how you can help them, they’ll go elsewhere. Your sales team need to know how to speak to customers, ask relevant questions, and then quickly connect the dots to make them an offer they can’t refuse. Not only that, but favouring a reactive approach over a proactive one can limit the potential of your business. If you’ve ever sold anything to anyone, there’s more than likely a whole database of information ready to be put to good use. Get in touch with customers that haven’t ordered in a while and remind them you’re still around, waiting to help them out. If your employees can make that customer feel special and communicate a solution to their problem, you’re almost guaranteed to see them buying from you time and time again! Every organisation has some sort of accounts department, or at least one employee responsible for collecting monies owed. 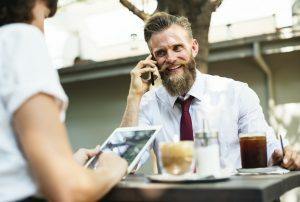 Communicating effectively with customers at this stage is absolutely vital to avoiding misunderstandings and sustaining positive business relationships. How you speak to people about money can be make or break, especially in competitive markets where customers can vote with their feet following unsatisfactory communication. Employees need thorough and regular training on the way that they approach clients, especially when talking about money. This includes saying the right thing at the right time! Finance and Accounts teams can avoid sticky situations by asking open-ended questions that get customers talking, identifying ways of solving problems, gaining commitment from customers, and (above all) providing a great level of service no matter how old the debt. Customers judge you based on how well you treat them when they need your support the most, so be friendly, open and consistent in your communications with them and you’re more likely to achieve the desired result. Most likely, interactions with your internal telephone team is the first real-time communication a customer will have with your business. 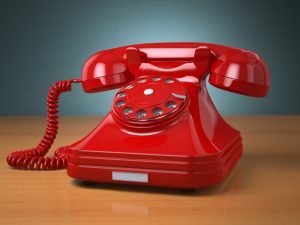 Whether that comes in the form of making an appointment, finding out more information about an account, promoting products or services, or reaching out for repeat business — the telephone should be the first tool in your sales teams armory. Really take some time to look at how effective your company is at using the phone. Is it being used at all? Are your employees confident in using it? Is it being shunned in favour or e-mail communications? Most importantly: Is it working for your business?Your phones are powerful and consistency in using them is the key to improving interactions between your business and customers. That consistency begins with training, coaching, and regular feedback either from internal sources (such as line managers) or external trainers. Audrey Bodman is a Telephone Training Specialist at Outshine Telephone Training & Resources Ltd www.telephonetraininguk.co.uk. She delivers telephone training to sales and customer service teams that create positive, long-lasting results. For more information on getting training for your business, contact her on: 0785 5213591. Here’s a rather important statistic for you… did you know that up to 60% of available jobs are never advertised? That’s right, over half the employment opportunities out there are hidden from public sight. With the rise in social media, on and offline networking and employee recommendation and reward schemes, businesses are saving on advertising budgets and using less conventional ways to fill vacancies. Which means if you’re only responding to conventional job advertisements on behalf of your customers, you’re quite literally just scratching the surface of the potential employment opportunities out there. Do you or your team ever procrastinate over picking up the phone to call potential customers or clients? One of the most frustrating things in the world is feeling like you have something amazing to offer, but you’re struggling to get people to listen. Do I really need to use a CRM when making calls? “Do I really need to use a CRM when making calls?” This is a question I get asked by clients all the time… And the short answer? So often I come across organisations who are asking staff to build pipelines and nurture relationships, ultimately to increase sales. But they still don’t see the vital importance of having a system that captures conversations with customers or prospects who aren’t interested right now. 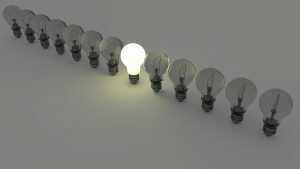 At first this may seem like a thrifty, productive move – there’s no point collecting information from a ‘no’ call right? To put it bluntly, if you’re not collecting this information then you’re being incredibly short-sighted. You see it’s not just about capturing information; recording what you do and what your staff do helps with future planning, understanding trends, analysing the success of certain offers, approaches or market segments and many other things. Far too many things to put in this article. On top of this many organisations still don’t see that there’s anything wrong with five different employees from the company ringing the same prospect or customer, sometime in a short space of time. Not only is this annoying for potential prospects but by not sharing information you’re giving the message that your staff don’t communicate with each other internally. Not great for your credibility. I myself fell foul of this mistake many years ago. I’ve been in business for 25 years and fully admit to being guilty of this in the ‘old days’. My CRM was sheets of paper and an excel spreadsheet. None of these could be shared. My staff had the same too and it was painful when they left trying to find the ‘bits of paper’ or making sense of a spreadsheet I’d never seen before. I had 15 staff at the time, they did tend to talk to each other and shared information, the problem was that it was often diluted or highly personalised. But at least it still existed. Fast forward 20 years and whether it’s to make time or cost savings or simply because they don’t know better, some companies still use this method. Do record information that captures what was said during a conversation – you never know when you might be able use it again to ‘warm up’ a call. It also helps build a great profile of your potential customers going forward. Do use an automated tool that allows you to create follow up calls. Calling when you say you will doesn’t go unnoticed and is normally a reflection of how good you are at managing customer expectations going forward. Very important should that prospect ever become a client. Do create campaigns with potential prospects. Those who might have said ‘no interest now’, with permission still could be open to knowing more about you. Brand awareness has to start somewhere. In these days when consumers and businesses have so much choice, many like to take their time and build a relationship before parting with cash. With the right nurturing a no can become a maybe which could become a yes. Do recognise that when someone says they could have a need in 12 months, this is a great opportunity (if you’ve identified needs through questioning) to fit them into a pipeline. You can’t do that without an automated system! You can when you use a CRM. Follow these calls up. 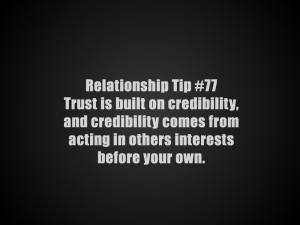 Do remember that trust and credibility are built over time. So take time to know those who aren’t in the market straight away. Social media is a great way to find out more about your ideal market – have somewhere to record this. Do put the cost of a CRM to one side. There are so many out in the market place, suiting so many different budgets it begs a question – why would you not want to record what you know on your customer? The initial investment usually pays for itself over time. Outshine and trainer Audrey Bodman have a hard-earned consistent reputation for excellence, based on our training expertise and successful outcomes. We deliver enthusiasm and energy as standard, as well as positive and long-lasting results.